Interested in boosting your email marketing click through rates by 200% or more? Of course you are. What smart marketer would turn away from an opportunity like that? Nobody. Nobody at all. Video is the answer you’re looking for. Assuming you already have the technology and know-how to create your video, one of the most important tips is to keep it short, so that people watch it all the way to the end. As many people using Twitter's Vine app have found, short is beautiful. Using humor can help you build a connection with the email reader, as Hubspot did to achieve the remarkable results highlighted earlier. Place your video early in the message, so more people will see it and play it. To make the most of this, Experian recommends a "waterfall approach" which detects the email technology people are using and delivers the appropriate visual experience. Autoplay can be a real turnoff for some people, so if you must do it, keep the sound off, says Reel SEO. Better yet, avoid it altogether and simply link to the video with an attractive still from it. This will also work well for those who don't want to watch the video immediately. Don't embed the video in your email; that can drive away those with flaky internet connections and can also play havoc with your email delivery rates. Instead, use that thumbnail we mentioned earlier to send people to an optimized landing page for your video and host the video offline. Don't forget to include a text link to your video too so people can still find it even if they have disabled images. Wherever you host your video, it's also a good idea to host it on YouTube, the world's second largest search engine, or on Vimeo, as Knowledge Reservoir did with their Tetris-based textual video. That gives you the option of getting your video to a wider audience than just your list. Knowledge Reservoir - Tetris from Clear Island on Vimeo. While you can't market without a call to action (CTA), the best place to put this is towards the end of the video, as in this example from Ragan Communications. This video went out with the headline "Click here to see why Mark is standing in an alley" and it doubled Ragan's usual CTR. Is Video Email Marketing Right for You? Is video marketing for everyone? Not at all. It's a good idea to check your analytics and see how people are accessing your site. If you have a high proportion of mobile device users, video is sure to be a winner. If, on the other hand, your list is using an outdated browser on the desktop then they are not ready for video email marketing. This checklist from Reel SEO can help the decision making process. "As of June 2011, an "average" B2C marketer could expect to deliver "full" video in email to approximately 37% of the list, animated .GIF video to 50% of the list, and static image to 13% of the list"
That adds up to 87% of the list who can get video in some form, making it a good strategy to try. Finally, once you have sent your email, check the analytics by your email marketing provider to see how your CTR has improved and what types of videos get the best response. This will guide you in creating future video emails and leveraging this technique for the best marketing punch. 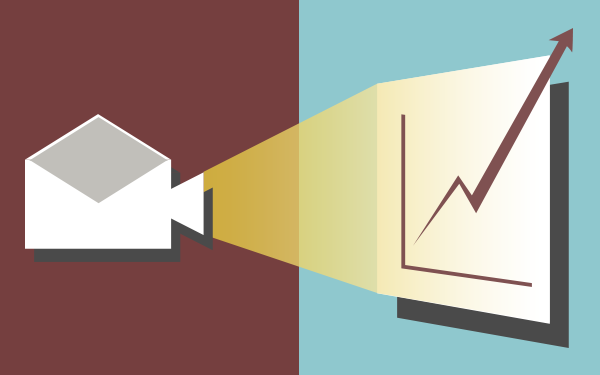 Have you used video in your email marketing? If so, let us know about your results in the comments below! Hi Chris, I haven’t used video yet in email marketing. But after I read your article I decide to make use your 8 tips and techniques. I know through your tips it will guide me to create impressive video emails. I’ll let you know about the results in the future. You have shared awesome tips for everybody. Thank you for sharing!